Our Floral Series collection includes Yin Yang Incense Stick which is deeply appreciated for exotic fragrance. Made using aromatic flowers and premium biotic combustible ingredients, this incense stick burns for longer period of time. 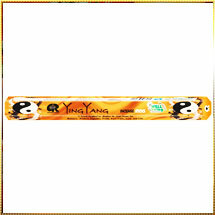 The incense stick based on Yin Yang tree is used during prayers and also for aromatherapy. It is known for offering soothing feeling that is rare to derive from any thing else. However, Yin Yang Tree is recommended for treating health ailments related to nervous system, reproductive system, palpitations, and so on. As a result, it is widely demanded in health care centers, spas, and other therapeutic institutions.